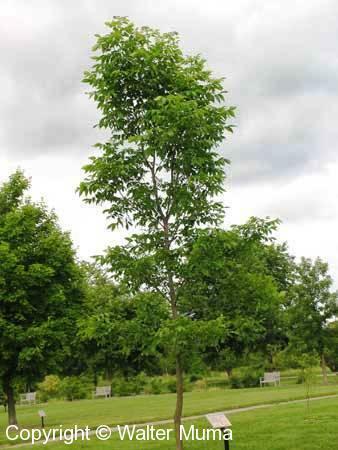 Distinctive features: Tree; On larger trees, the base of the trunk swells outward, resembling a pumpkin. 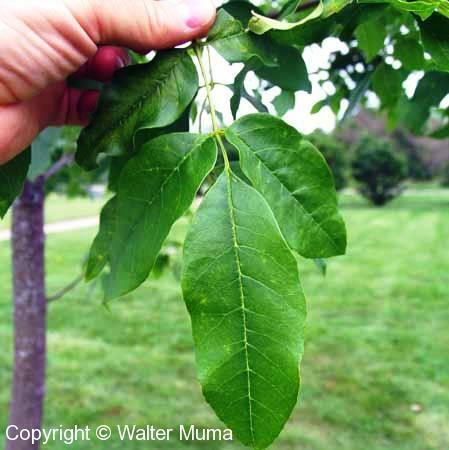 Leaves: Opposite/Whorled, Compound, Entire; Compound, opposite. Habitat: Wet Areas; Usually in wet areas. Notes: Very rare in Ontario. Native to eastern USA. Photographs: 32 photographs available, of which 7 are featured on this page. SCROLL DOWN FOR PHOTOGRAPHS. 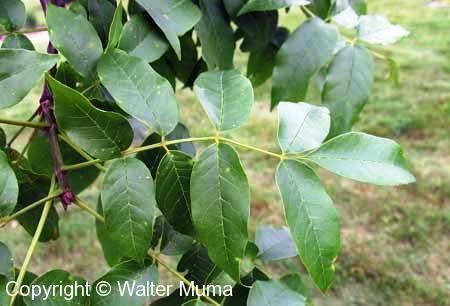 Pumpkin Ash is very rare in Ontario, only being found in the extreme southwest and along Lake Erie. 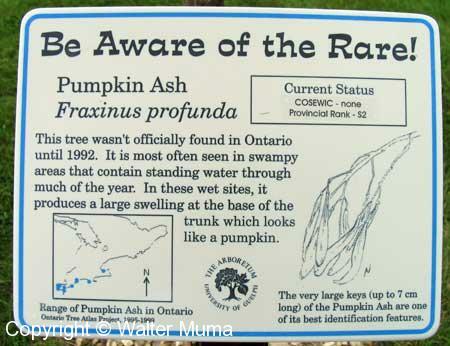 This sign is in front of a specimen at the University of Guelph Arboretum, in Guelph, Ontario. All the photos on this page are of this one tree. The compound leaf. Note they are arranged in opposite pairs along the stems.